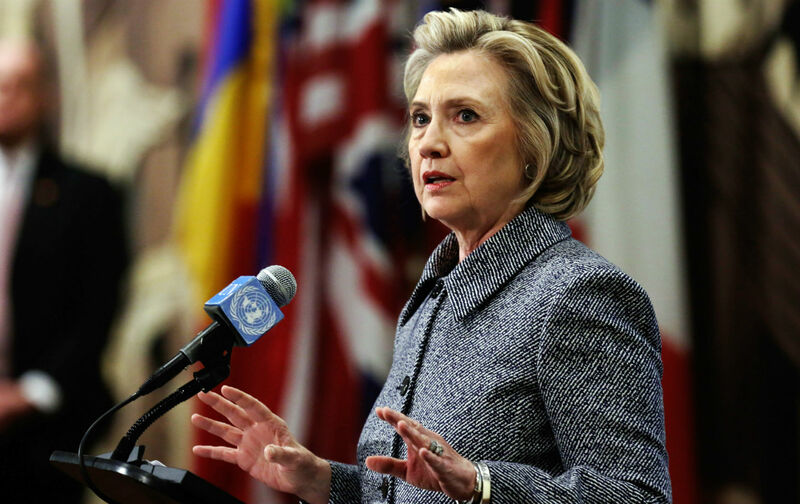 Does It Matter That Hillary Clinton Deleted Her E-Mails? Why might Clinton have chosen to bring on the perception problems that come with deleting e-mail? To be clear up front—Clinton didn’t break any laws or regulations by deleting this information. Federal officials are not obligated to preserve private communications. The process by which Clinton determined what was a private communication and what wasn’t is still under significant scrutiny, however, and Clinton made a calculation to delete anything that wasn’t turned over—and to announce that fact publicly. Why might that be? What does she stand to gain, and lose, by doing that? Off the bat, the deletion created an obvious public perception problem for Clinton. (She was immediately dubbed “Deleter of the Free World” by New York tabloids.) There’s no chance her team didn’t realize that when the e-mails were erased. “Secretary Clinton may…lose something intangible by allowing those who hold the darkest view of her actions to believe, somehow, that their interpretation has been validated by her deliberate destruction of the emails,” said Steven Aftergood, director of the Project on Government Secrecy at the Federation of American Scientists, who added he thought there was an “irrational degree of passion” around the issue. Did Clinton’s team accept that downside simply in order to free up some storage space? I think we can probably rule that out. So why do it? This doesn’t mean there was anything malevolent in the e-mails—even if every one of the 30,000 messages really was about yoga routines and wedding plans, as Clinton claims, her team may have decided that deleting them (which happened sometime between December 14 and Clinton’s press conference) would hopefully pre-empt a protracted battle over nothing. It would also prevent an overzealous judge or agency chief from forcing her private communications into the public or semi-public sphere. Of course the final possibility is that Clinton improperly deleted work e-mails that she didn’t want the public to see. In that scenario, the erasure was definitely worth it for her, weighed against the attendant perception problems that come with deletion. Weighing those perception problems against not having to engage in a messy battle over the private e-mails is a little more unclear. What’s interesting about this entire episode is that it’s a “scandal” of Clinton’s choosing: coming off the Bush years, where Clinton herself criticized the former administration for using private e-mails, Clinton chose the same path. It’s hard to believe she didn’t know there would someday be fallout just like what’s happening today, but she went ahead. The deletions are yet another choice. In her telling, these decisions were made for convenience and then privacy, which may be true. There are also more problematic possibilities. We may not ever know for sure, but it’s fascinating to follow her decision tree—Clinton either made bad decisions that created negative political consequences, or good decisions that prevented an even worse outcome.